1) Syria has no Illuminati controlled banking. 2) Syria has no debt to the IMF. 3) Because Syria owes no money to foreign powers nor is monetarily controlled, she can write her own policies. 4) Syria has no GMO foods and therefore doesn’t control the food supply of her. 6) Syria has plans to build their own gas and oil pipelines. They have abundant resources. The NWO wants the pipeline to go through Israel for control purposes. 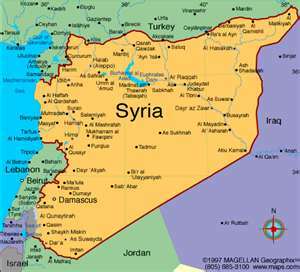 9) Syria has a strong national and cultural identity, resisting the entrance of foreign companies. No Rothschild central bank, NO IMF debt, No Genetically modified food, Oil and pipelines, Anti-secret societies, Anti-Zionism, Secularism, Nationalism.